This nebula is affectionately referred to (or is that "humbly" referred to) as Thor's Helmet. 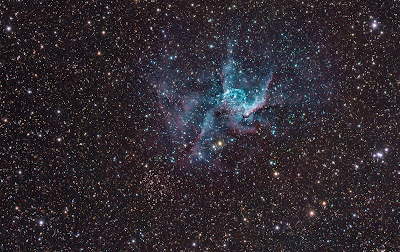 It is a "bubble" nebula (the helmet part) that is generated by the intense radiation of the center Wolf-Rayet star carving this bubble out of the local gas and dust. The "wings" on either side of the helmet complete Thor's iconic head piece. This image is the "first light" of my new TEC 140 scope. Though I got the scope back in November, my imaging attempts were thwarted by weather until last week -- but it was worth the wait! I am very impressed with this scope. 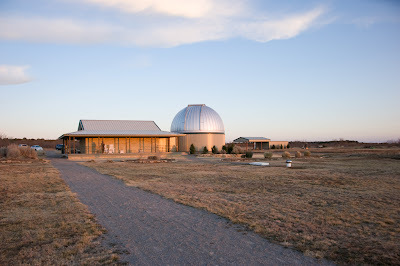 I have volunteered at the Comanche Springs Astronomy Campus (CSAC) several times and must say that it is an extraordinary facility. 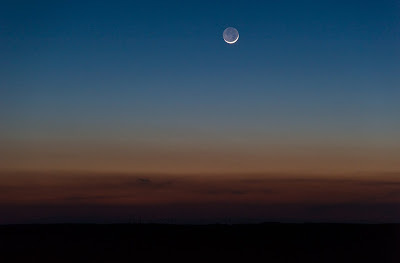 Located in West Texas near Vernon, it has incredibly dark skies. 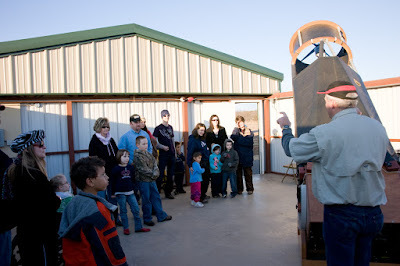 But more than that, it is a place to study the night sky with good friends, and introduce the wonders of astronomy to the public (during public star prties held twice a month). 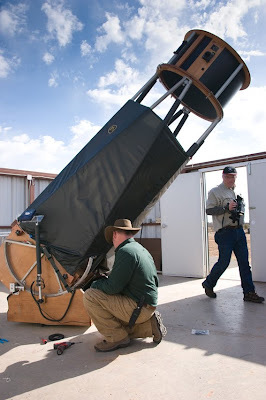 The campus contains a plethora of state-of-the-art astro gear -- four domes, a large roll-off observatory, and a powered viewing field... all filled with large aperture scopes. 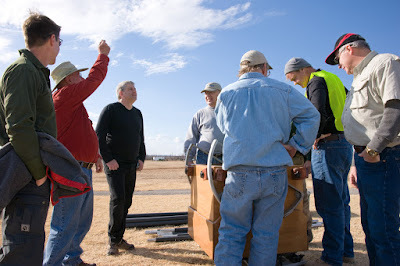 One of the domes is currently being wired for remote astrophotography (controlled via internet). 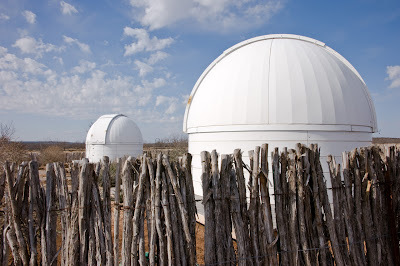 In addition to the observatories, there is also a classroom, bunkhouse, restrooms and showers, and a full-time staff. And the guys at Three Rivers Foundation (3RF) that are responsible for this incredible campus are just getting started -- there are dorms and a dining pavilion on the way. 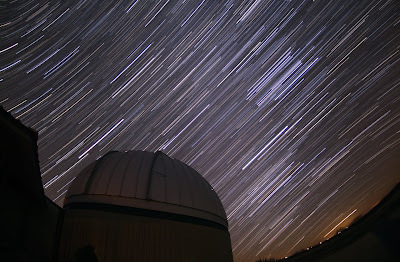 But the best part of the CSAC is the folks that run the place and all the volunteers that show up every month -- a great bunch of folks who love the night sky and joyously pass their knowledge along to anyone making the trek out to CSAC. It is about 4 hour drive from Dallas. I've been out there 3 times now and I hope to make the trip at least 4-6 times a year.